From the CEO of Ruckus to all participants of the Summer 2013 event we were disappointed in. Thank you for racing with us. You, our customers, are our main priority. Most of you are repeat customers for a reason. With so many options in the obstacle race market, we set our expectations high and our goal is to stay ahead of the industry by creating the best event in the marketplace. In trying to create a best-in-class event, we missed the mark for some of you, and want to address three key areas and explain what we are doing about it. Course Design & Obstacle Mix – Although this course was 15% harder (based on average times), the spectation and diversity of obstacles didn’t cut it. We hear you and our team is already implementing changes for our next event and for those coming back in the fall, be ready. Medals – Although more than 70% of you preferred the pint glass, we clearly deprived too many of you the satisfaction of acknowledging your accomplishment. Going forward we will have medals and pint glasses. Settling isn’t what Ruckus is about. Spectator Fees – Changes are in the works here too. We can’t be family friendly and charge for the sitter to watch the kids on the Mini, while mom & dad are on the course. Effective immediately each Mini-Ruckus ticket will get a free spectator ticket. 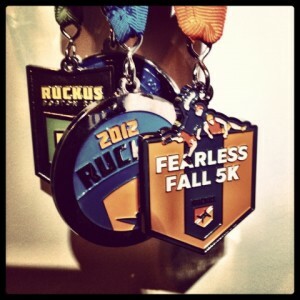 I’ll be seeing you at the Fearless Fall 5k, excited to see what Ruckus does next! 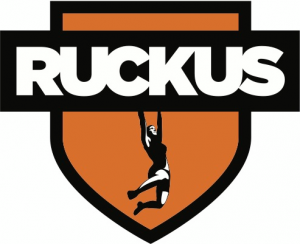 I just got off the phone with the CEO of Ruckus Sports. He heard us, loud and clear. He understands and accepts that they dropped the ball. They want to make things better, and improve their events, and work through the things people complained about. His priority is the course – previously, they have had innovative and challenging courses and course design – and this year, well, not so much. They understand that we missed the signature obstacles we loved from previous years. He discussed spectator tickets – as an event that has a history of being the most spectator friendly event on the calendar (which I would agree with whole-heartedly), they get that charging your spouses $20 a head to get in isn’t so friendly. We also talked about “medalgate”, and the possible options they have for the future, especially now that glasses are going to be expected by many. It was a very positive call – Ruckus prides themselves on being leaders in the industry, and are going to great lengths to present a more professional event and experience, something I’ve seen first hand with my behind the scenes work with them. They are also a data driven company – as reviews of their races come in, they make changes to respond to those reviews and ratings. Which is where I think many of the issues stem from – when someone reviews an obstacle and marks it poorly, is it because the obstacle was at fault, or because they couldn’t do it? That’s the reason the Air Loops were missing – the poorest rated obstacle from 2012. When a review lets Ruckus know that 70% of respondents want glasses instead of medals, that didn’t take into account the emotion the remaining 30% have for medals – or the new runners coming out with their friends and families for their first medal, or that medals are displayed proudly back at home in many places. Data is something you have to use, but neglecting the emotion and personal feelings is what gave us the lowest ranked event in Ruckus history. Personally though – I’m confident that they heard us loud and clear, and future events will respond appropriately. I’m signed up to run the Fearless Fall 5k, and I am certainly going to be among the first to sign up for the 2014 event, when it’s available. Ruckus screwed up. They own it, and they want to fix it. I’m excited to see how they do that next year.